When today’s homeowners envision a kitchen remodel, many imagine working alongside hunky remodelers who transform their space in less than a month, with only small glitches along the way that are quickly resolved. While remodelers are grateful for the business these shows generate, they could do without the unrealistic expectations they create. “Homeowners need to understand that this is not a TV series where we’re doing this in 26 days. It’s a major process. Everything takes more than one day, and it take multiple meetings to get it right,” says Mark Brick, president and owner of B&E General Contractors in Glendale, Wis.
1. What’s your financing? In the last year, banks have become less willing to approve home equity loans, one of the most popular financing methods, says Sarah Henry, general manager and owner of Seattle-based Gaspar’s Construction, a 2014 member of Remodeling’s Big 50. Henry says many homeowners assume they are approved before they even have an appraisal. That can hold up a job, or even put the kibosh on it. “We’ve had two projects fall through this year because homeowners couldn’t get the money they needed.” She says this is also a good time to talk about payment schedules—and make clear when the project is deemed completed. 2. What’s your budget? Not every kitchen remodel is worth your time. This question will help you determine if that’s the case. A good place to start is asking them to pick out appliances, says Brick, who’s also past local and national president of the National Association of the Remodeling Industry. If the homeowners are looking at high-end appliances, that could be a $75,000 to $100,000 kitchen, Brick says. If they are going for the basics, he knows it’s a low-budget job. No matter what the budget, don’t forget to remind clients of the need for contingency funds for change orders and the like. Henry likes to build in 30% for all possible costs. 3. What’s your availability? The most successful kitchen remodels involve the homeowner. This means they’re available for at least weekly face-to-face meetings, coupled with regular check-ins, not just email, Henry says. “Homeowners don’t realize the amount of time they’re going to need to spend on a remodel,” she says. 4. What’s your expected timeline? Most kitchen remodels take a minimum of four months, depending on a number of factors. Along with time for demolition and rebuilding, time must be factored in for permits and inspections. Henry says permitting alone can take 12 to 16 weeks in some jurisdictions. When it comes to pulling those permits, Petrie says remodelers should clarify who is responsible—the remodeler or the homeowner—and which ones will be needed. Inspections take time as well, and they can lead to additional time and cost. Henry says inspectors have been known to require time-intensive and costly upgrades that aren’t even related to the kitchen or the work being done. Homeowners are usually not prepared for the full scope of a kitchen remodel. Adequately preparing them before the process gets underway helps the project run smoothly. 5. Was your home built before 1978? This key question will help you determine whether lead paint or asbestos is involved . If the answer is yes, you’ll need to test the area in question and determine whether it meets the threshold for federal guidelines. Dealing with lead or asbestos will increase the cost and duration of the project significantly, says Petrie, who is also president of the National Kitchen and Bath Association. 6. Do you plan to put in sweat equity? This is a popular way to hold down costs. But often clients don’t fully understand what they’re taking on. They’ll do an incomplete demolition, leaving in sinks, not pulling out all the nails, or not having the site cleaned up, Petrie says. “It’s a conversation about what’s expected if you really do the demo,” he says. With painting, clients are allowed to do the work before cabinets go in, but they need to understand touch up will be required unless they wait until after installation, he adds. 7. 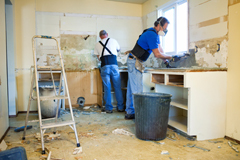 Are you prepared for renovation? Many homeowners haven’t thought through the disruption of a kitchen remodel. They will have to box up everything in the kitchen and store it elsewhere, and the whole space will be unusable, Petrie says. Once the demolition and reconstruction begins, the amount of dust and debris can be overwhelming. In addition, chemicals, glues, and other potential irritants can cause allergic reactions, warns Henry. On the logistics side, homeowners need to think about where they will store bulky items like cabinets and appliances, Petrie adds. Finally, depending on state and local laws, homeowners may receive scary looking certified letters from subcontractors, which reserve the right to put a lien on the home if payment isn’t received, Henry says. 8. Are you prepared for “surprise” costs? Anytime walls and floors get opened up, there’s a risk for unexpected expense, especially in a kitchen, which is connected to so many other parts of the home: electrical, plumbing, and load-bearing walls, to name a few. I’m pleased to announce an entirely new market niche for the Homeowner Referral Network (HRN) business…Aging-In-Place Referrals! The senior market is the fastest growing sector of our economy and there are more than 100 million Baby Boomers and their parents who will need home modifications and/or repairs in the upcoming years. The HRN business is positioned with a unique business model to serve this growing need! I personally identified this market niche after 15+ years of serving aging homeowners in my community who need to maintain and/or modify their homes and–on a more personal level–as I struggled to help take care of my elderly parents in their home several thousand miles away. Seniors, more than any other market segment, need to be sure that they can trust the contractors they hire and finding a contractor referred through an HRN is the best way to ensure their safety. To launch this new phase of the HRN business, I’ve spent the past several months rewriting the HRN Manual to included valuable information on how to assess the needs of seniors, aging in place contractor licensing designations, strategic Aging-In-Place marketing campaigns, ads and more! And, we’re launching a brand new website www.aginginplacereferrals.com to help aging-in-place contractors and senior homeowners find local HRN owners operating across the country. Aging-In-Place Referrals adds an entirely new profit center for HRN owners while providing a valuable service in the community! Be one of the first to launch an Aging-In-Place Referral Network and capitalize on this up and coming trend in the home improvement market! And it always makes me laugh. The truth is, I started Home Remedies®, my Homeowner Referral Network (HRN®), years BEFORE Angie’s List every hit the marketplace and, while our two businesses may appear similar at first glance, we’re very, very different. First and foremost, the contractors I represent can’t pay to be referred. Angie’s List accepts advertising from contractors which immediately comprimises their reviews. Second, while my HRN® business serves as a reliable referral source for local homeowners, I also act as an outsourced sales and marketing force for reputable contractors and therefore represent their best interests. One of the biggest complaints from contractors about Angie’s List is that they have very little recourse when a homeowner writes a bad review. And third, my revenue model is success based. I get paid when the contractor gets paid which means it’s in everyone’s best interests, to find the right contractor and get the job done to the homeowner’s satisfaction. Over the years, I’ve heard from hundreds of contractors nationwide who are wholeheartedly disatisfied and frustrated by Angie’s List which is why the following article didn’t come as any surprise. Read on and form your own opinion. 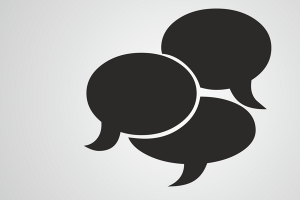 As a homeowner, would you trust an online review or would you prefer a referral from a local, trusted, unbiased source? Should Remodelers Try to Kill Angie’s List by Boycotting It? Do you agree? Should remodelers try to help kill Angie’s List by starving it of the advertisements and listings from service providers that it depends on for a big share of its revenue? Would that really administer the killing blow? Or does Angie’s List deserve to live because it, more often than not, helps establish who the good remodelers are—the ones who most deserve to be in business? The stock market already is down on Angie’s List, having cut its share price by more than 10% from its peak. Analysts are downgrading their ratings of the company—though none are recommending outright selling of the stock—and critics are questioning Angie’s List’s business model. Thus, Angie’s List is having troubles above and beyond remodelers’ complaints. But a boycott theoretically would add to the string. Nine out of every ten firms in the United States is a microbusiness – who knew?! And, microbusinesses are one of the fastest growing and best positioned business groups to ride the current economic storm. Read Dawn Rivers Baker’s excellent article on 5 Key Microbusiness Trends for 2009 for more on this. Microbusiness is definitely the sector to watch in 2009. But what is a microbusiness? 1. Official Definition – Advocate groups typically define microbusinesses as an organization with less than five employees, small enough to require little capital ($35,000 or less) to get started. 2. Unofficial Definition – Microbusiness owners are the ‘…people who refer to themselves as soloists, independents, consultants, craftsmen, artists, musicians, freelancers, free agents, and self-employed people. The majority of these companies are one-person enterprises …operate out of their homes; and many …have part-time help from a family member or friends.’ (Courtesy of Lloyd Lemons in his Microbusiness Defined article). When you also take into consideration socio economic factors such as increased unemployment and a growing trend toward outsourcing to consultants and freelancers, the attraction and opportunity for microbusiness growth becomes clear. If you’ve ever considered becoming a home-based business owner, or dreamed of opening up your own ‘mom and pop’ business – you will likely fall into the category of microbusiness owner. As such, you are still a business owner and will benefit from planning and managing your venture much in the same was as any business owner. Are you Properly Licensed / Permitted? – It’s a misconception that freelancers, consultants or home-based businesses don’t need the appropriate licenses. In fact, every business needs one or more federal, state or local licenses or permits to operate. Licenses can range from a basic operating license to very specific permits. The government has created a very handy tool – Permit Me – that lets business owners easily identify the licenses and permits required for their business. – Again, this is an often overlooked area among microbusinesses. If you choose to name your business along the lines of something like ‘Accent Accounting Services’, you cannot operate that business under that name until it is officially registered with your local government. Until then the legal name of your business is essentially your given name. Find out how to register your business name here. – There are several financing programs available to microbusiness owners from the Small Business Administration (SBA), including the Basic 7(a) Loan Program and the Microloan Program. To help you save time and identify the right financing for your business, a good starting point is this easy-to-use Loans and Grants Tool on Business.gov. Simply match your business profile and needs to questions on the tool and, based on your answers, the system will identify SBA-backed financing programs and other funding that you may be eligible to apply for. How are you going to Market Your Microbusiness? – Marketing is often regarded as an unnecessary overhead by many microbusinesses, preferring to rely on the rolodex or word of mouth practices. It is actually those who shout loudest now who’ll reap the rewards when the economic tide turns. Focus is the key when it comes to marketing on a tight or non-existent budget. Web 2.0 and social media marketing tools such as LinkedIn, Facebook, Twitter and Google Ad Words make it very easy for microbusinesses to build a public brand for little or no money. Focus on one or two and commit to putting an hour every day or every-other day to sustaining your profile on these sites. Get more marketing tips for small and microbusinesses here. – Many of the sectors that continue to experience steady growth include those focused on environmental sustainability and renewable energy, healthcare, IT, and federal government contracting. The latter is a complex area to enter, but sub-contracting opportunities may represent an opportunity for the microbusiness owner. Another great way to sniff out opportunities is to join LinkedIn industry and special interest groups. Become a virtual member of these communities and you’ll be surprised how many potential ‘buyers’ you might come across (but be sure you have a clear pitch or value proposition on hand before you start ‘selling your wares’. – Another advantage of the Web to microbusinesses is that it can connect you with others in the comfort of your own home office. Whether you prefer to follow blogs, Twitter or industry publications for business advice, find a community of like-minded professionals and learn from each other. Business.gov just launched a new online community specifically for small businesses to learn, share and discuss practical solutions to everyday business problems. – Last, but by no means least, tax planning should be a key component of your business plan. Lowering your tax burden is a long term strategy that goes to the heart of your business structure, investments, and work methods. To help you stay abreast of your tax requirements as a microbusiness visit Business.gov’s Small Business Tax Center and read this post on 5 Ways to Ease Your Tax. This past August I received a phone call from one of my clients who wanted to renovate her kitchen in time for the holidays. She explained that her kitchen is relatively large (approximately 200sf) and she planned on keeping her existing layout. Her budget was approximately $75,000. We immediately got to work and I referred her to one of the best contractors in my network (Contractor A). While she liked his personality very much, his estimate came in almost $10,000 over budget. I then referred a second contractor from my network, who gave a lower estimate. My client didn’t like his personality as much as Contractor A and he was busy on another project and wasn’t sure he could complete her job by Thanksgiving. My client explained that she was meeting with another contractor who was highly recommended by her neighbor and then she and her husband would make a decision. My contractor started the job the third week of September and, other than a few minor cabinet issues, the kitchen is complete and ready for the holidays. And I just received a commission check for $4,850.00 from my contractor and another $540.00 from my painter. Best of all, my client told me that she wants to renovate her bathroom this Spring!